Spring is officially here, and Easter is right around the corner. What better time to start making bright and cheerful crafts and treats! 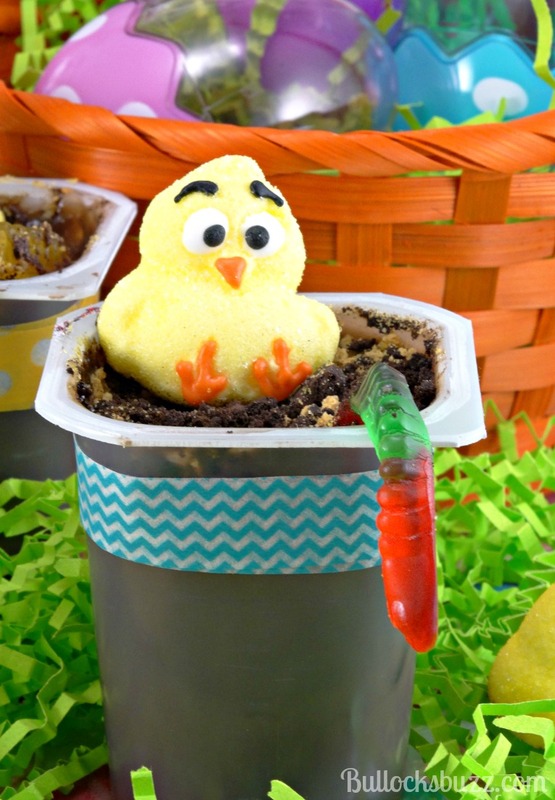 If you are hosting a Spring time party or an Easter dinner, I have an easy to make dessert that serves as a cute decoration, a fun craft and a tasty snack all in one! 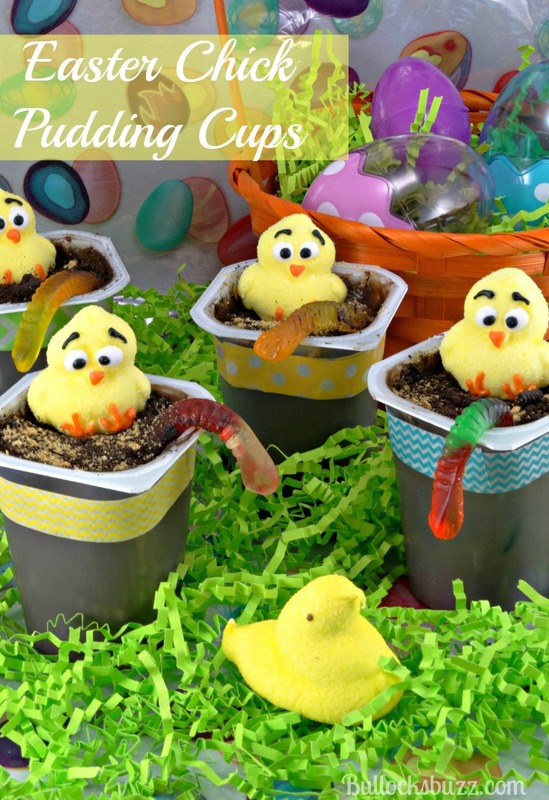 Best of all, they take just minutes to prepare…Easter Chick Pudding Cups! 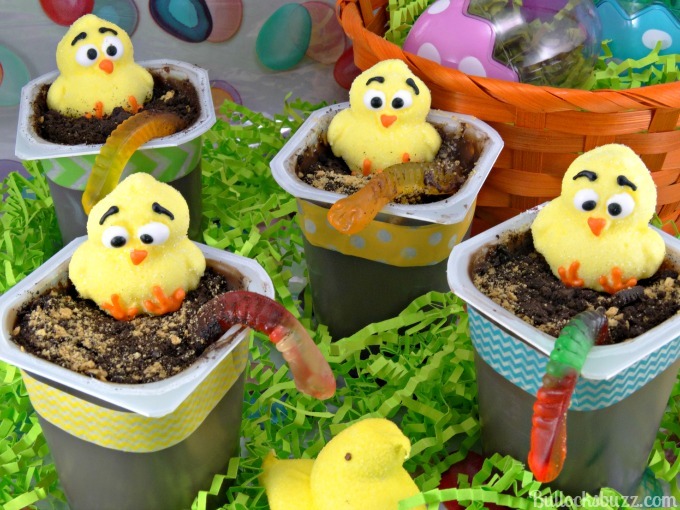 To make these Easter Chick Pudding Cups, you first need to head to your local Walmart where you can find the extra-large, chocolate flavored Super Snack Pack pudding cups and a few mix-ins, including Oreo cookies, Honey Maid graham crackers, gummy worms and marshmallow birds. I found the Super Snack Packs in the baking aisle, but I’ve also seen them in the snack aisle. 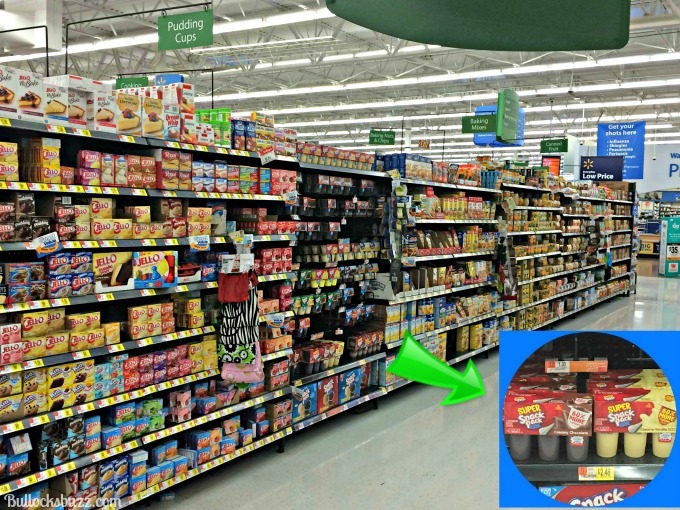 Keep an eye out for a special display featuring Super Snack Packs and mix-ins ideas for Easter at your local Walmart! Begin by placing six to eight Oreo cookies (the sides without the icing) into a plastic bag and crush until the crumbs resemble dirt. You can also throw them in a blender and pulse a few times, but I found this way to be quicker, easier and less mess! In a separate bag, do the same with the Graham Crackers. Next, remove the new Easy Open Lids to the Snack Packs, and insert a gummy worm into the pudding, leaving about 2/3 of its body out. Sprinkle some graham cracker “dirt” onto the top of each pudding cup, followed by a spoonful of Oreo “dirt”. Position your marshmallow bird, and you are done! If you want, add a bit a pastel colored Washi tape around the tops of the pudding cups for some springtime extra color! Now all that’s left is to enjoy! 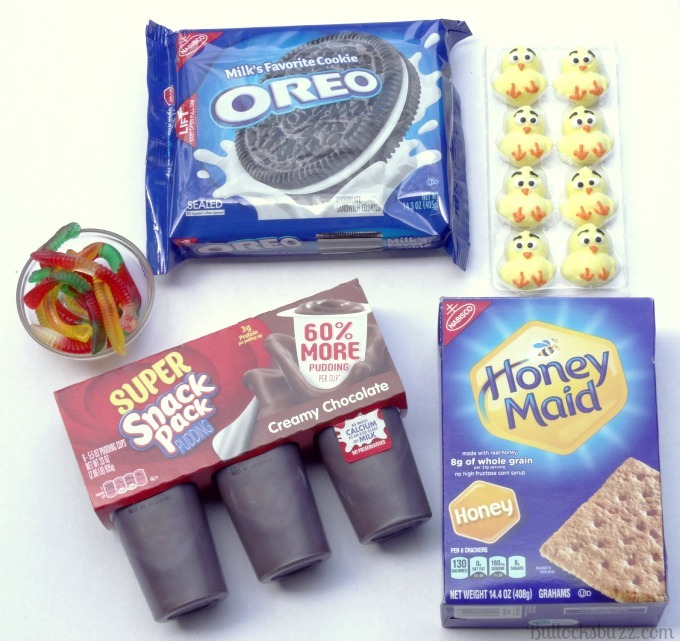 For more fun and creative pudding cup ideas, visit Snack Pack Mix-Ins. Do you have a creative Easter snack idea? Share it with us in the comments below! These are so cute. I love this idea and I might have to try it with my kids.